Most kids spend significantly more time outdoors than adults do. In fact, some experts say we get most of our lifetime exposure to the sun's ultraviolet (UV) rays by age 18. Most people know that too much UV exposure can cause sunburn and even skin cancer, but many are unaware that the sun's UV rays also are associated with eye problems such as cataracts later in life. Children's eyes are more susceptible to being penetrated by UV rays than adult eyes. For these reasons, all children, even infants, should wear UV-protective sunglasses when outdoors.First and foremost, the lenses of sunglasses for kids should be made of lightweight, impact-resistant polycarbonate or Trivex lenses that block 100 percent of the sun's UV rays. Be aware that the darkness of a sunglass lens does not determine how much UV it blocks. As long as the lenses block 100 percent UV, the color and darkness of the lenses is a matter of personal preference. Choose sunglasses with lenses large enough to shield your child's eyes from most angles, but make sure the frame fits properly so the glasses fit comfortably and don't slide down your child's nose. Also, consider purchasing a soft elastic band or cord that can be attached to the ends of the frame temples, so your child can keep their sunglasses handy when they want to remove them. If your child wears prescription eyeglasses, schedule an appointment to discuss modern frames that have integrated magnetic clip-on sunglasses. This can be a more affordable option than a separate pair of prescription sunglasses. Another option is 100 percent UV-protective photochromic lenses that darken automatically outdoors. 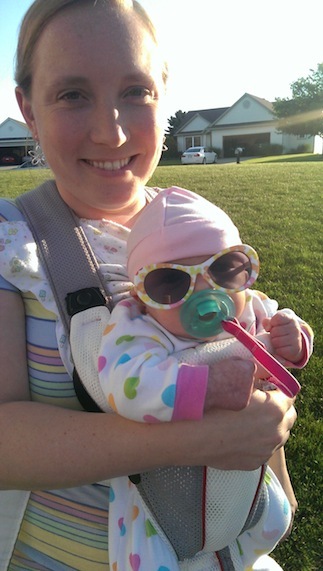 If you have an up to date prescription for your child, no appointment is necessary to pick out sunglasses. To discuss your child's options, schedule an appointment today by clicking the button below or calling (586) 939-1122.